Stock flower is one of my favorites. 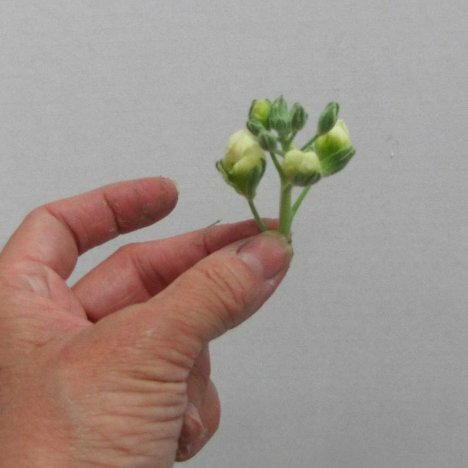 It is available in both single stocks (one stem) and spray stock - which has smaller laterals coming off a single stem. 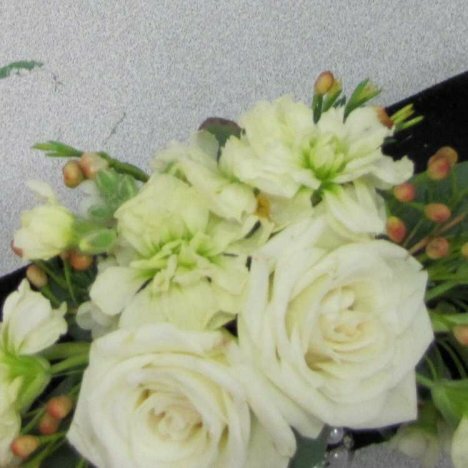 Spray stock is a little easier for using with corsage work, but both are perfectly fine. 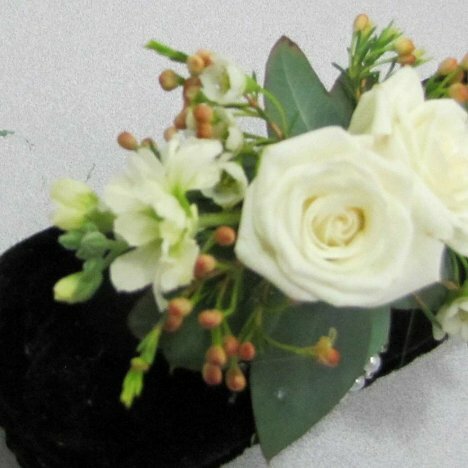 Cut the stock flower into smaller pieces for gluing in among the roses and wax flower. 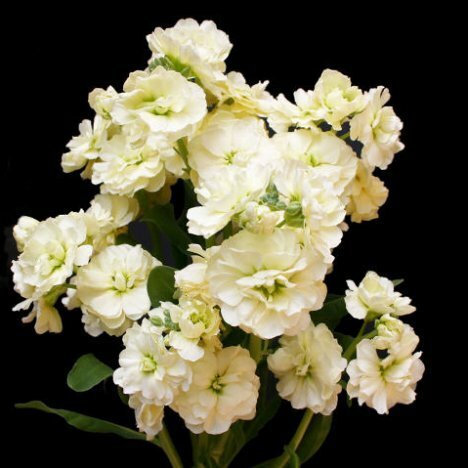 Stock flower will add a heady, lovely scent to your wristlet. Most roses don't have a strong scent like a garden rose does. 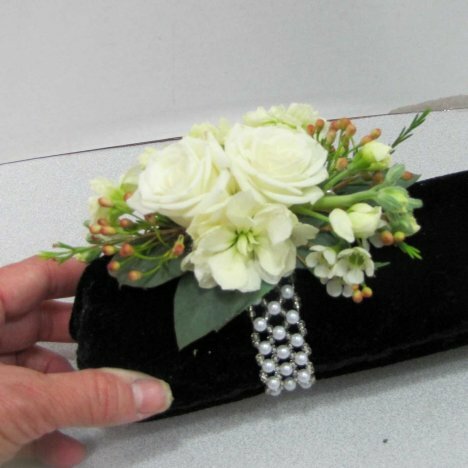 It fills in the outer portion of your corsage quickly. 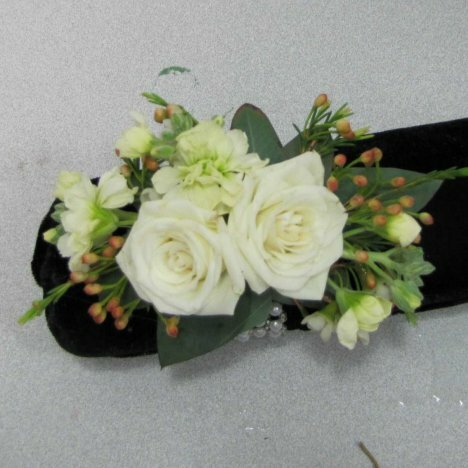 Tuck in pieces all around the corsage, encircling the two rose heads in the center. You may have to lightly hold the flower heads in place until the glue sets up. Stock comes in lovely shades of white (be prepared - naturally white stock has a green cast to it), lavender and pink. 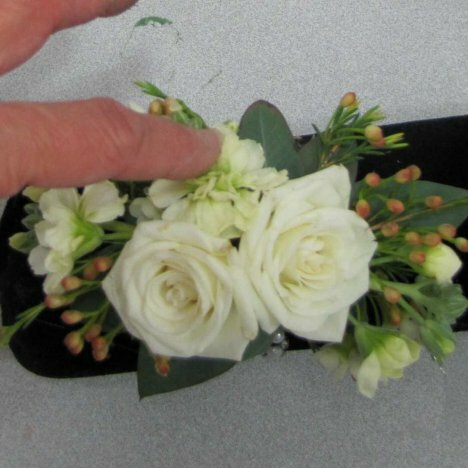 The steps for making a glued corsage is the same no matter what flower varieties you use. 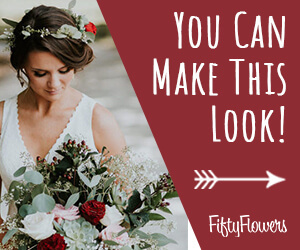 Change colors and flowers to match your own wedding scheme.